When my husband’s mom moved to Lancaster County, PA I was thrilled. I’ve always been intrigued by the historic charm of Amish country and looked forward to doing all the touristy things one does in Lancaster County. What I didn’t anticipate was all the other wonderful things there are to do in Lancaster County! 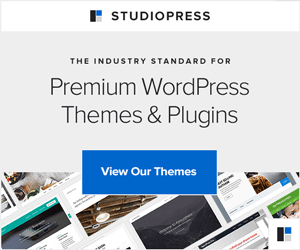 At Christmastime, especially, there is so much to experience, from the small, unexpected surprises to festive shopping and shows. Photo Credit: DiscoverLancaster.com. Used with permission. 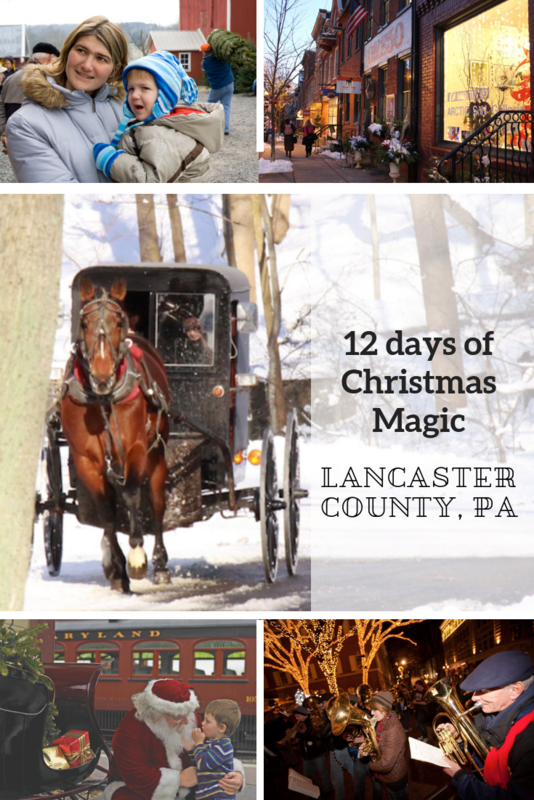 In the spirit of the holiday season, here’s our list of the best of the best holiday experiences ~ 12 days of Christmas Magic in Lancaster County! 11. Enjoy the magic of historic holidays after Christmas, too! 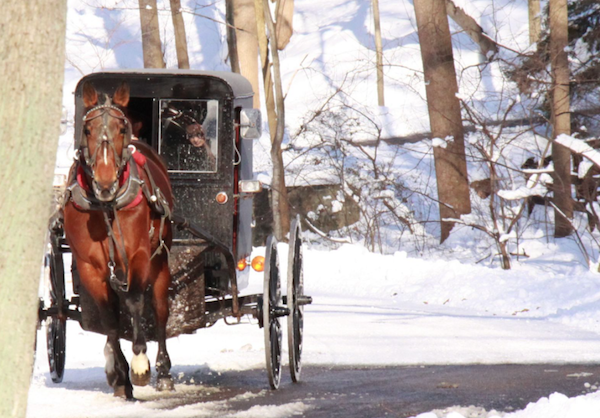 Kick off the holiday season at Landis Valley Museum’s Country Christmas Village this weekend! This year’s theme looks at Christmas through the years as inspired by children’s books! Kids can send a letter to Santa. Families can learn to dance, listen to stories and take a wagon ride through the grounds. Families are sure to treasure the joys of a simpler time as they celebrate the magic of the season together. If you can’t make this weekend’s events, check the calendar for other events happening throughout the month! Belsnickle (aka, Belsnickel), a German tradition that immigrants brought to the Pennsylvania Dutch Country, is much like the modern day “Elf on a Shelf.” According to lore, the disheveled Belsnickle would visit homes in the weeks before Christmas to check in on kids to see if they are naughty or nice. He generally expected children to answer questions or sing songs. When they did, he would toss candy from his pockets to the floor. But, if kids jumped too fast, they might get struck with Belsnickle’s switch. Hmmmm…. Today, Lancaster County’s inns have opened their doors to Belsnickle. He’s hiding out at each one! 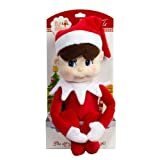 Visit the 15 inns on the tour, enjoy the holiday decorations and look for Belsnickle. You can also enjoy each inn’s signature cookie and take a recipe with you. If you find them all, you’ll be entered into a grand prize drawing. Belsnickle is a busy guy during the holiday season, so he’s only available the first weekend of December! Click here for tickets and information. Really, I tried to do this to match the song, but it’s hard, y’all! However, on the third day of Christmas, I discovered THREE holiday shows in Lancaster County! First, sing along with yuletide favorites during American Music Theatre’s 2018 Christmas Show – The First Noel. Then, share in A Christmas to Remember at Bird-in-Hand Stage. Finally, refresh your own Christmas spirit with A Christmas Carol at Dutch Apple Dinner Theatre. This theme park, perfectly suited for younger families, turns into a magical winter wonderland for the Christmas Season. The fun begins with the Royal Light Show, with thousands of twinkling lights dancing to music. 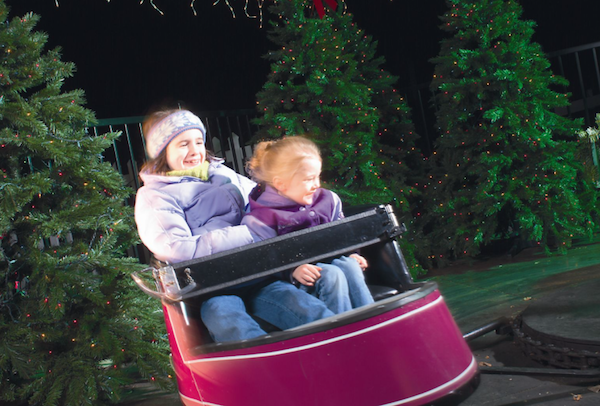 Dutch Winter Wonderland‘s family friendly rides and attractions and visits with Santa (through December 23rd) are sure to inspire a lifetime of memories, one smile at a time. You decide if you want the golden rings. I’m sure wherever you shop, you’ll find treasures loved ones will be thrilled to find under the tree! Enjoy old-fashioned Christmas shopping in the charming villages of Lititz and Ephrata. Or, hunt for great deals at the outlet stores at both Tanger and Rockvale. Or, shop where we find great Amish treats and unique gifts at Kitchen Kettle Village. Take a trip back in time and tour the historical home of US President James Buchanan, decked out in seasonal cheer. This year, Wheatland’s yuletide displays feature decor reflecting the holidays as President Buchanan would have celebrated in the 1860s as well as displays that reflect the excitement of the early 1900s, Dickens-like Christmas. 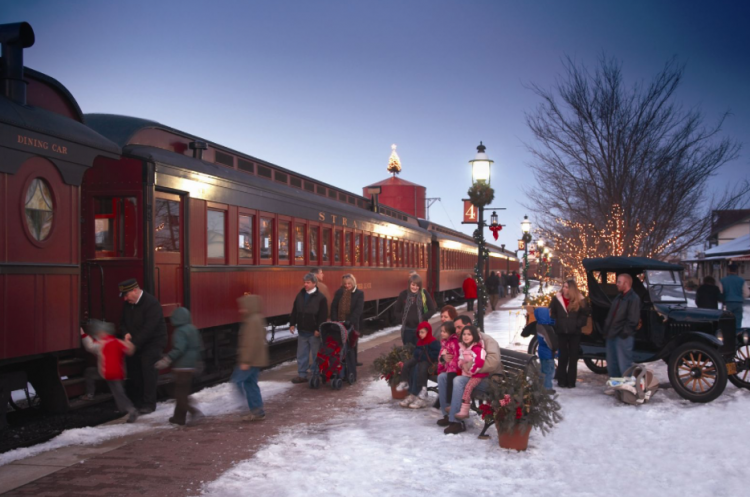 Strasburg Railroad provides great fun year-round. There’s just something about riding these old passenger trains while watching the scenic countryside roll by. Christmas train rides make the experience more magical. Ride with Santa, enjoy a delicious Christmas feast and much more! Before television and movies, the Magic Lantern Show brought the wonder of picture storytelling to the world. The Magic Lantern Show at the Amish Experience, holiday edition, takes you back in time to a Victorian family’s traditional Christmas Eve celebration. With the help of his magic lantern, Grandpa tells Christmas stories to delight children and adults alike. Book online to save $5 on adult tickets! Cut your own Christmas tree at Elizabeth Farms in Brickerville. You’ll even take a horse-drawn wagon ride into the fields to select your tree! Or, they have pre-cut Christmas trees if you prefer. Afterward, warm those fingers and toes with complimentary hot chocolate. Allow some time to explore the Christmas Fantasy Barn, which features Santa’s Workshop, Bloomingdale’s Holiday Window Displays, and a Model Train Room. Keep the magic alive at the holiday lantern tours at Ephrata Cloister. These tours, offered December 26-29, take you back in time to how the Cloister might have appeared in the 1700s. Reservations are required. Tickets start at $5. I can think of no better way than to close than with a tradition that needs to come back! In the 18th century, Yuletide traditions began with Christmas and kept going through the new year. At Rock Ford Plantation, kick up your heals and dance to beautiful music as you enjoy a candlelight tour of this historic plantation all decked out for a colonial Christmas. Advance reservations are not required. To plan your trip to Lancaster County, start here. If you can’t get to Pennsylvania Dutch Country, here are tips for planning holiday travel wherever you call home!